Roofing maintenance should also include an interior inspection of your home. Fall is upon us, and now is the time for roof maintenance. Getting your roof inspected now will help to prevent costly repairs during the snowy winter and wet spring. Take a moment to educate yourself with the following tips for fall roof maintenance. Roofing maintenance can require a lot of steps. If you have an asphalt shingle roof, you may want a professional to come out and inspect your roof for damage caused by summer storms. Professional roofers will look for missing, displaced, or cracked shingles, as well as shingle missing their surface granules (the textured substance which helps waterproof your shingles). Metal and ceramic tile roofs require less maintenance, but can benefit from a visual inspection during the fall. Metal roofs may need to be waterproofed again, and ceramic tiles may need to be replaced if they’ve recently been involved in a storm. Roof maintenance should also include an interior inspection of your home. The professionals will look for any evidence of roof leaks or moisture on your ceilings or walls, as well as check your attic for proper ventilation and signs of moisture as well. Cleaning out your gutters in essential for roof maintenance. Dirt and debris can clog your gutters and cause snow melt to back up under your roof and overflow down the sides of your house. 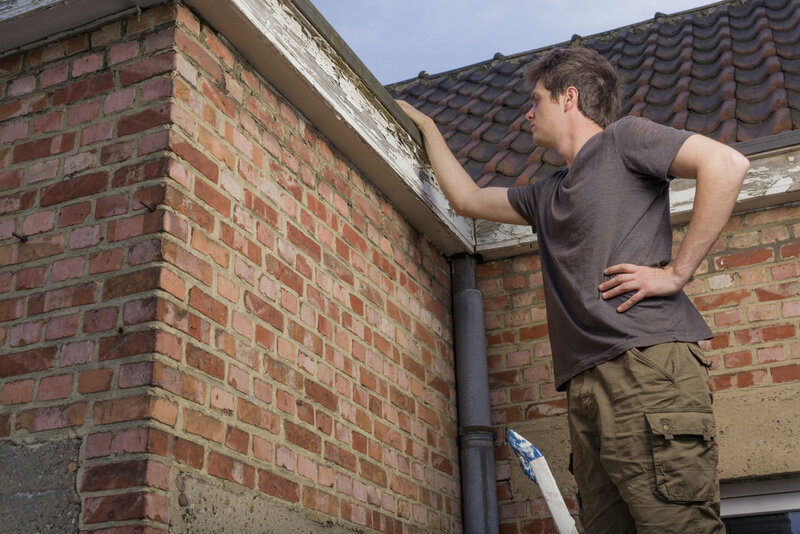 A professional gutter cleaning will clear your gutters of any existing twigs, leaves, dirt, and other debris that may have built up since the last cleaning. They will also check your gutters for any leaks or other problems. A possible upgrade to your gutters could be installing gutter guards, will divert leaves, twigs, and other debris, and prevent your gutters from clogging up. This entry was posted on Thursday, September 3rd, 2015	at 3:47 pm	and is filed under Blog, Home Repair	. You can follow any responses to this entry through the RSS 2.0	feed. Both comments and pings are currently closed.